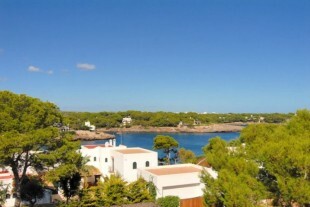 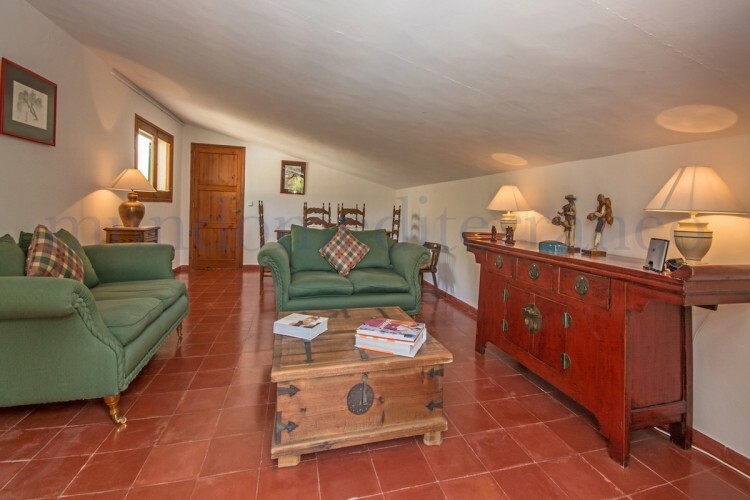 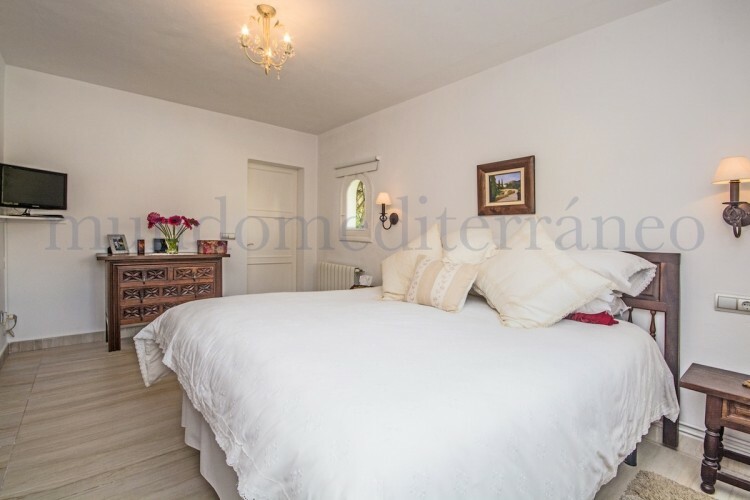 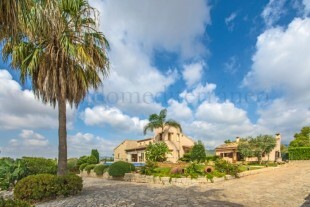 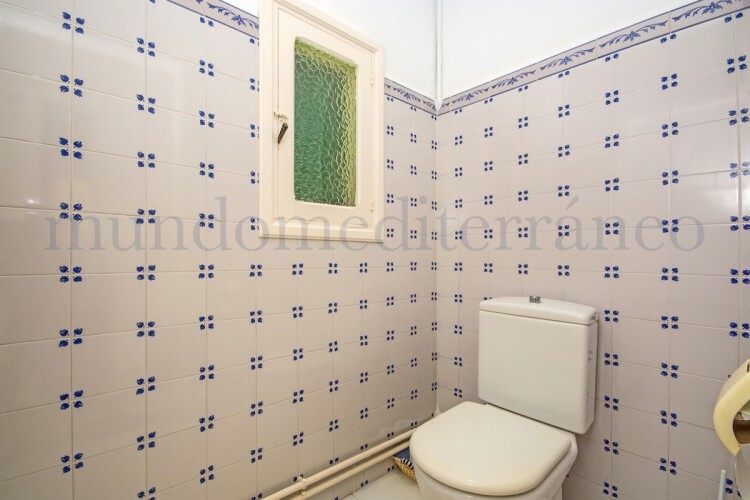 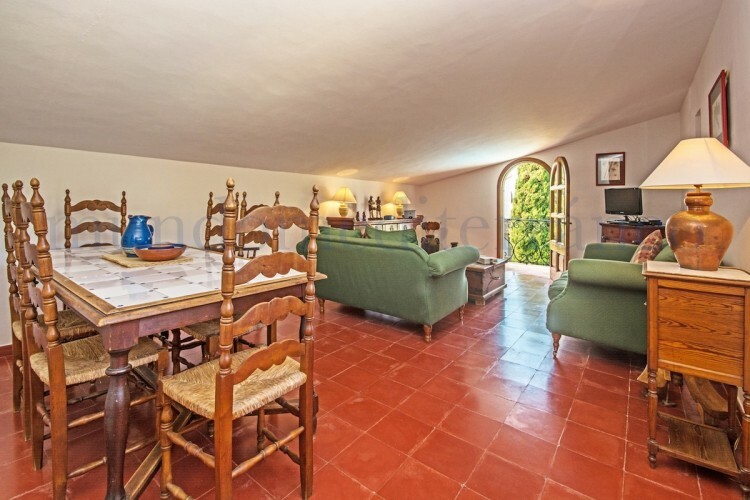 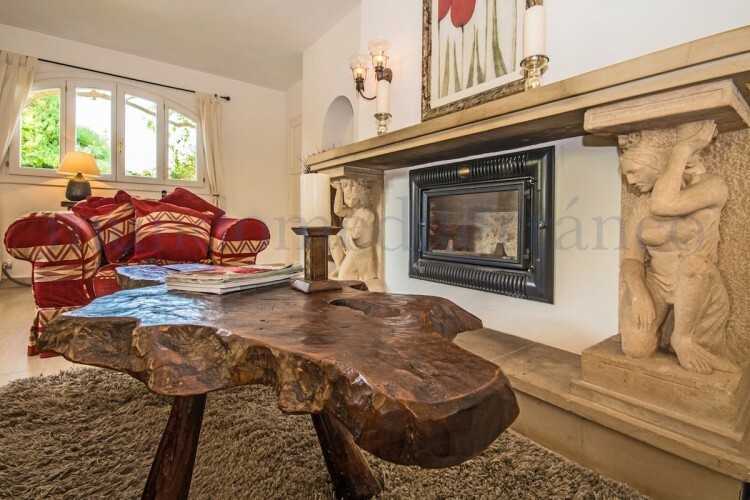 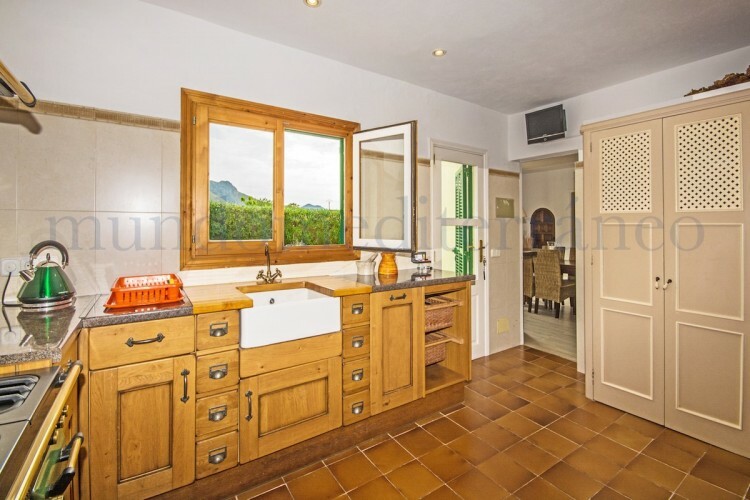 Charming country house nestled in a popular and quiet urbanization of Puerto Pollença. 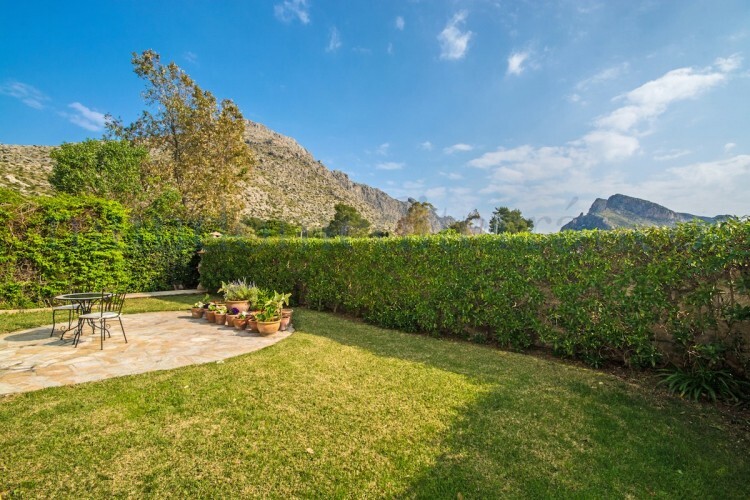 This excellently positioned property has been refurbished and decorated with lots of style and boasts breathtaking views of the Tramuntana mountain range. 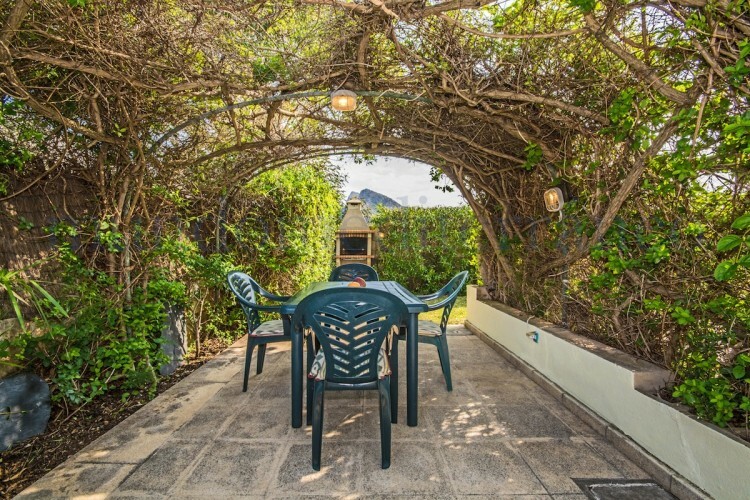 You will immediately recognize it by the stunning fuchsia bougainvillea cascading around the pretty upstairs Juliette balcony, which overlooks the front garden and swimming pool. 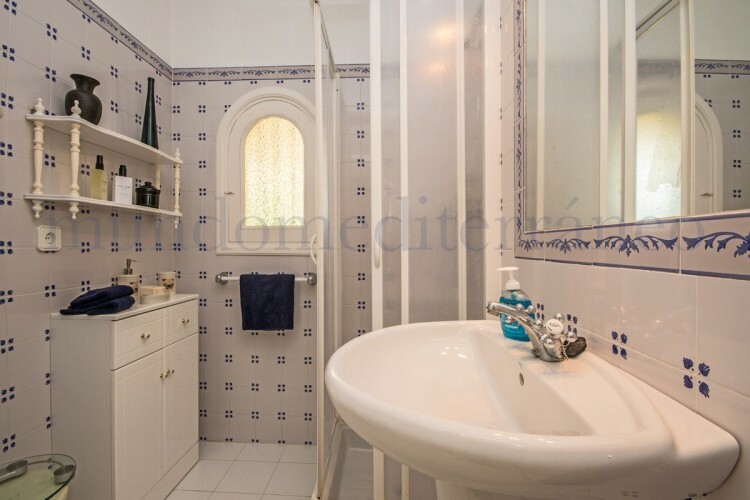 This very impressive house offers a total of four bedrooms (2 downstairs and 2 upstairs) and three bathrooms. 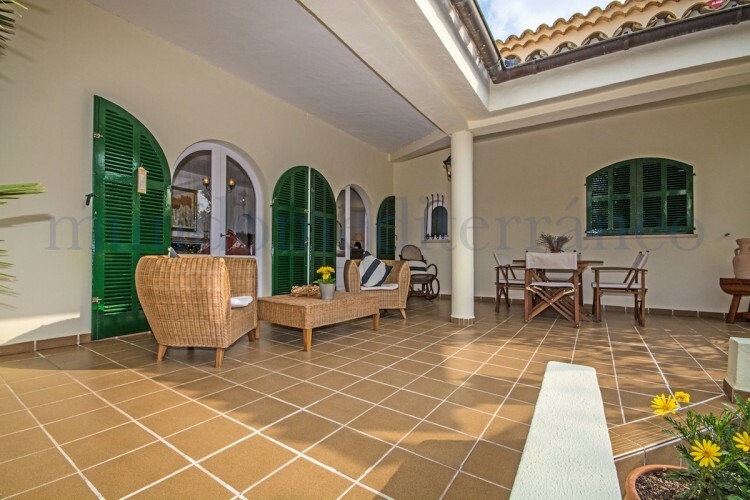 Downstairs, a bright lounge and dining room with an originally designed fireplace give access to the terraces and gardens. 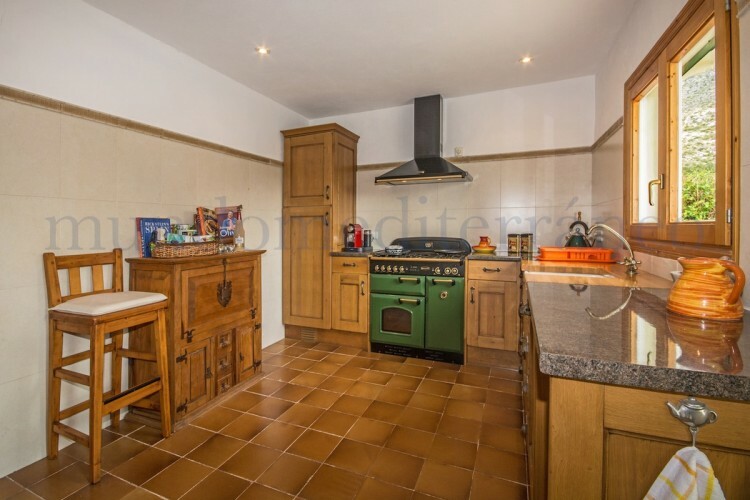 The large fully fitted kitchen opens onto the back garden with a shaded arbor for al fresco dining. 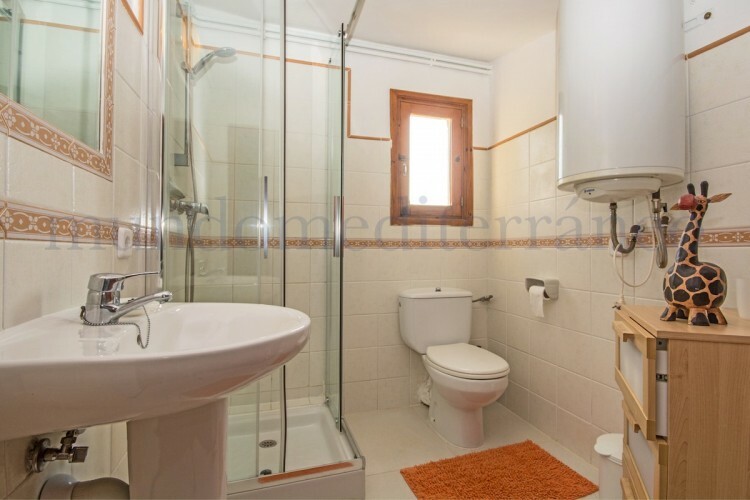 There is a double guest bedroom with en-suite shower room. 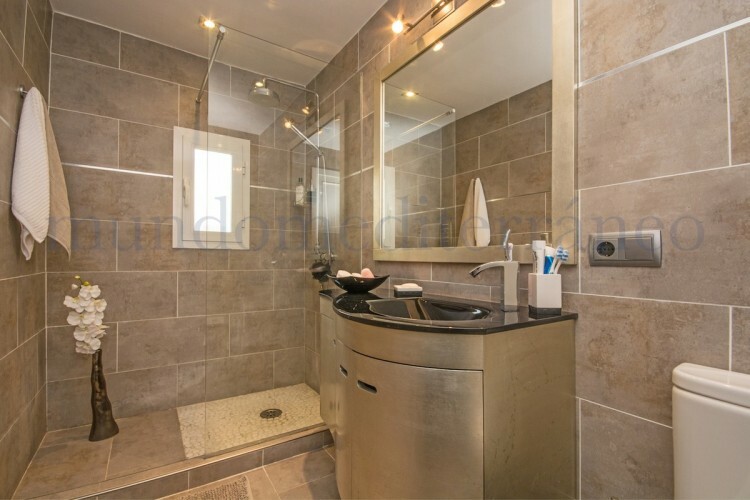 The master bedroom leads on to a second bathroom. 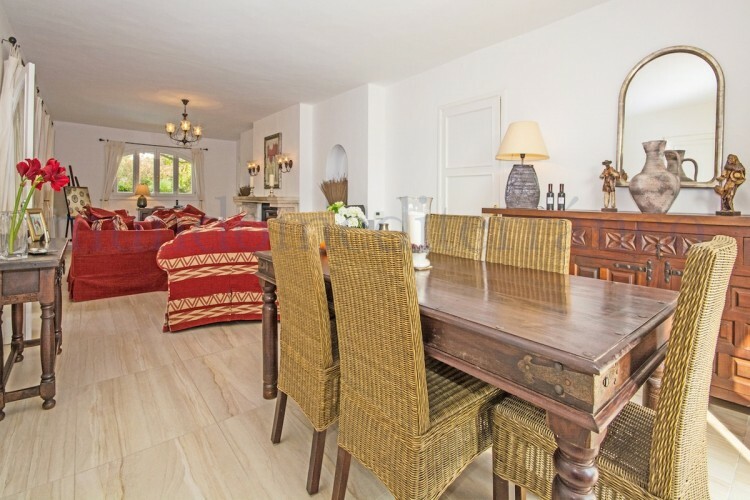 Upstairs, a stylish self-contained apartment is ideal for guests and also provides excellent rental opportunities. 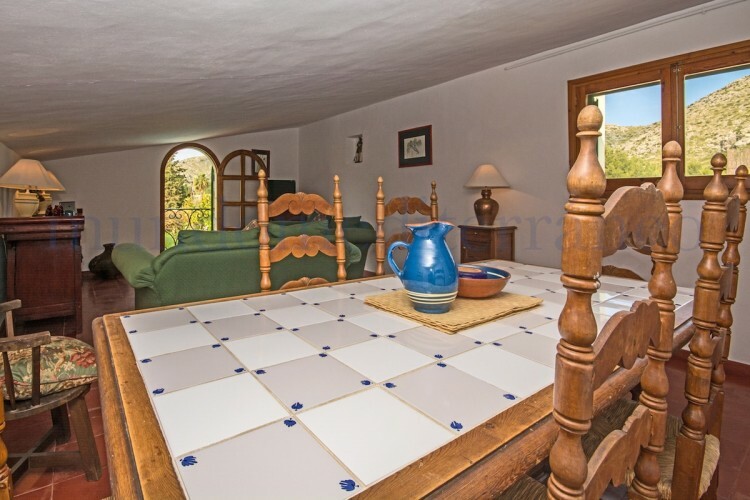 The accommodation comprises a large lounge/dining room, kitchen, bathroom with shower and two more double bedrooms. 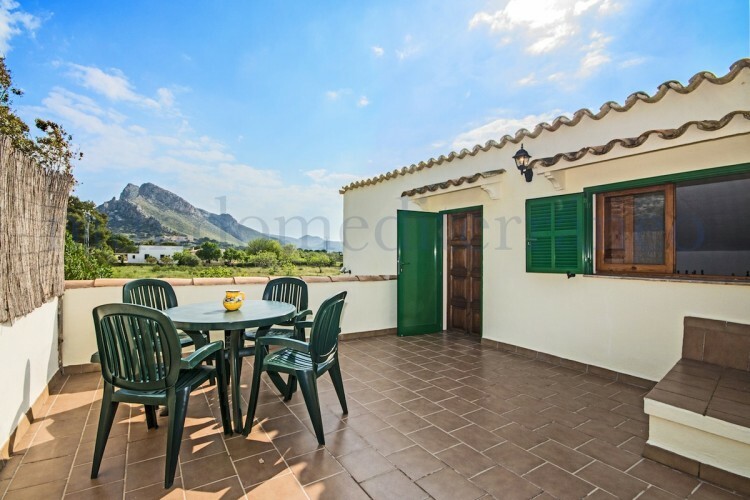 Excellent property for those who want to live in the countryside with all commodities covered but still only a 10-minute walk to the beach and the Port of Pollença. 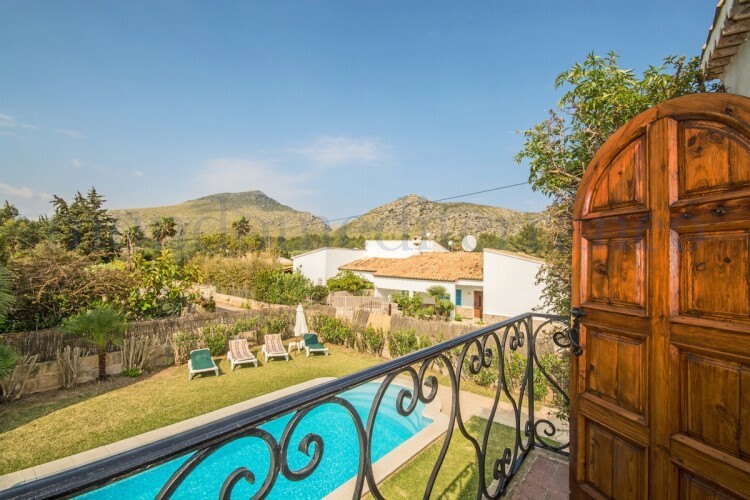 Also great value if you want to rent it out to holiday-makers. 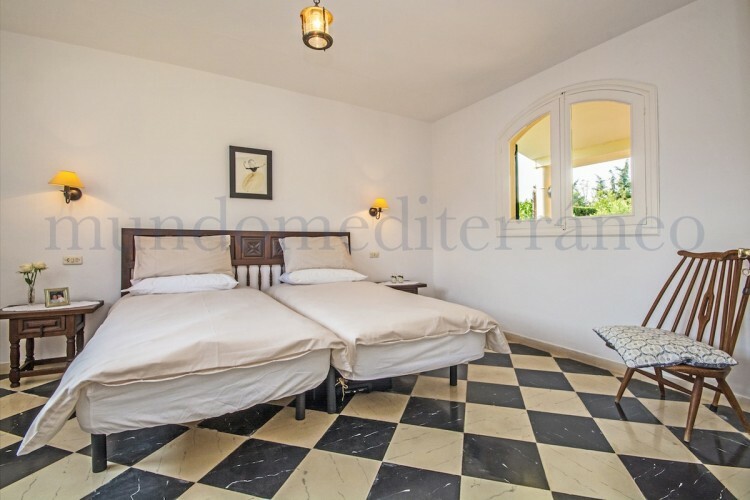 THE VILLA HOLDS A VALID LIFELONG TOURISTIC RENTAL LICENSE Extra features are central heating, covered terrace, guest apartment, storage room and utility room. 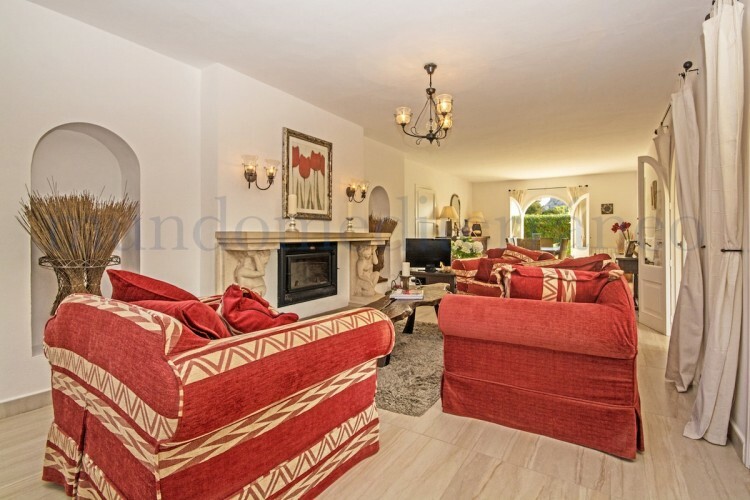 A priority in your viewings if you are looking for an exceptional property with unique character and charm. 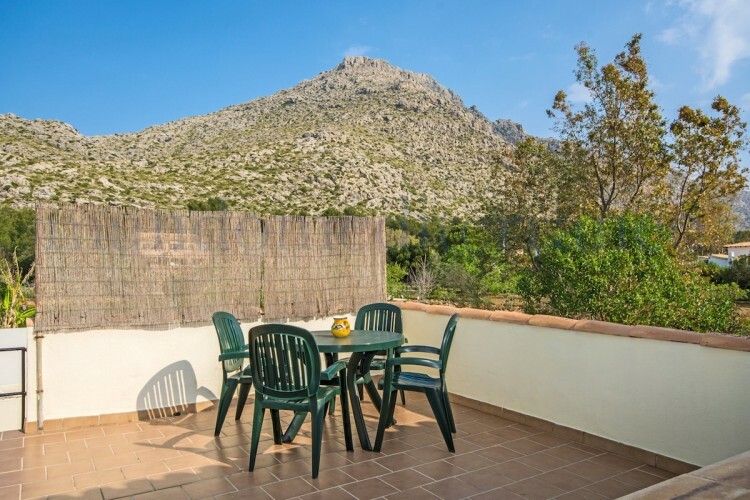 Puerto Pollensa is one of the most popular beach resorts in the North of the island, offering beautiful beaches and a wide range of bars and gourmet restaurants. 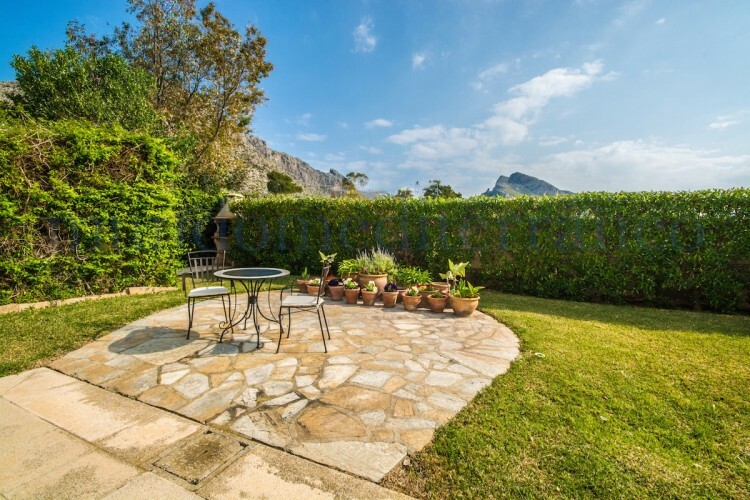 Near you find the old town of Pollensa and the two very well known top-level luxurious golf courses. 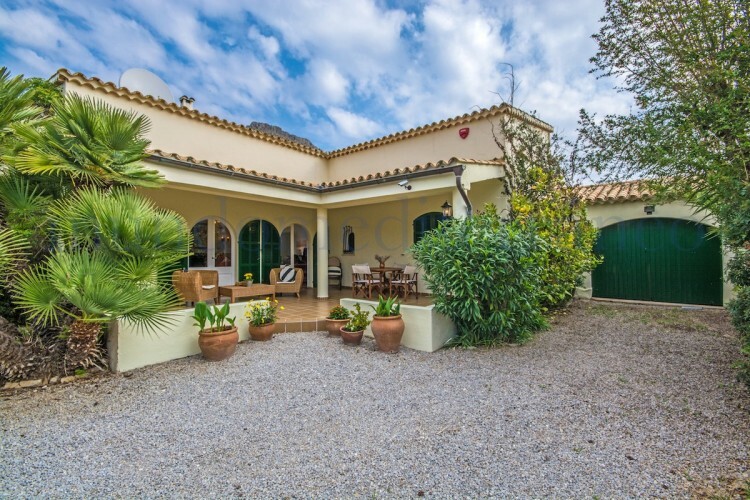 Due to the excellent infrastructure, Palma, the cosmopolitan capital, and the international airport are within easy reach.